A quick round up of some of the news, products, events and launches that have made it onto my radar this month. If you didn't own one of Toord Boontje's Habitat garland lights yourself there is a pretty good chance you know someone who once did. First sold in 2003 the iconic light was an instant bestseller. Now Boontje has collaborated with Habitat again to create a successor to it. Made of matt white flexible plastic the Bouquet light is part of the Design Reunion collection, which launches in September with an exhibition at the company's Platform Gallery space above the King's Road store during London Design Festival. "My aim for the bouquet was to create a successor to the Garland" says Boontje. "A delicate, floral light arrangement that was affordable and had a contemporary look. Whilst I was considering this I was visiting my mother's home in Sweden admiring the flowers in the garden and the flower arrangements in vases inside. Then I thought it could be great to create a light that works in a similar way - a light which allowed you to arrange a variety of individual floral elements around a bulb instead of a vase." 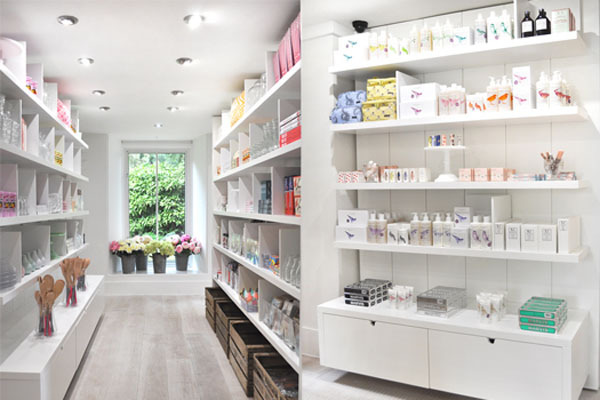 Winchester based lifestyle shop The Hambledon has just opened a store at Cowley Manor. Their new shop at the Cotswolds contemporary country hotel and spa will stock womenswear, menswear, jewellery, accessories and homeware. As if I needed an excuse to book a return trip to Cowley Manor. Look out for fashion collections inspired by Brutalism on the high street this autumn. Whistles chose London's Barbican complex as the backdrop for their AW14 campaign while Reiss have cited Brutalist architecture as one of the key influences of their AW14 menswear collection. 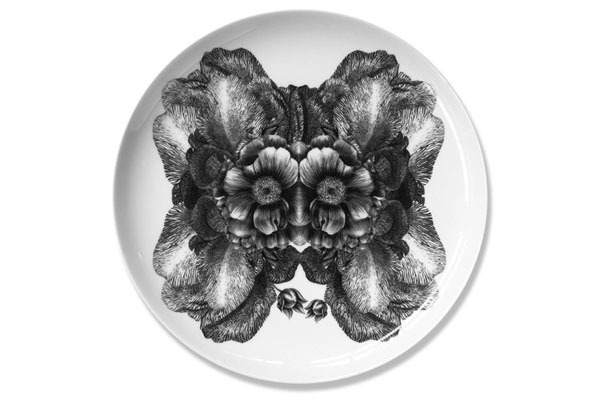 London based illustrator Sasha Tugolukova has realeased a series of fine bone china plates featuring drawings inspired by the complexity and ambiguity of the natural world. Four designs are currently available in the series and each piece is crafted and hand decorated in Stoke on Trent. Pentreath and Hall have joined forces with Fine Cell Work - a charitable social enterprise that trains prisoners in paid, skilled, creative needlwork - to present a striking new collection of cushions. The collection fuses together traditional needlework techniques with graphic, contemporary designs based on stone floor and marble patterns by 18th century designer Batty Langley.